The room is bustling with heated, animated conversation. There’s around 50 people gathered in three groups focusing on different areas of the problem in hand. The groups sit in circles, debating, brainstorming. You hear snippets here and there: “A PR launch in the Mansion House or Smock Alley?…Overcoming the stigma of being in care…The trauma of a kid in care turning 18 and suddenly just being thrown out onto the street?…Think in images.” We’re hearing the language of political engagement. Of lobbying. Of activism. We’re in the Wood Quay headquarters of Dublin City Council. The site was the scene of heated protest in the 70s; conservationists wanted to preserve the Viking settlement that had been unearthed during excavations. It’s been claimed that the defeat of their protest setback the cause of activism in Ireland for decades. The meeting today, however, testifies to the fact that activism is alive and well. What’s more this ‘engagé’ group is made up of young people aged 11-18, debating and lobbying on issues that affect them. Everything from mental health services to Brexit to homelessness and the problems faced by youth in care. It’s very impressive stuff. The Wood Quay activists would be proud. Welcome to Comhairle na nÓg. “It’s a young persons’ parliament” says Comhairle coordinator Mary Mooney of Dublin City Council. Similar youth councils have been set up in the various Local Authorities around the country. “Comhairle na nÓg is for young people under the age of 18 who aren’t eligible to vote and it provides them with the space to have their voices heard” Mary told Dublin.ie. Comhairle na nÓg is designed to give young people a voice regarding the services, policies and issues that affect them. 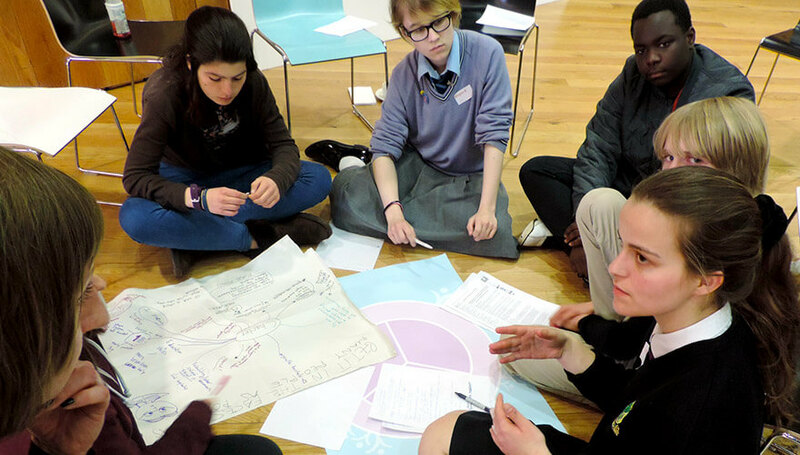 Through Comhairle young people are encouraged to speak out and make their voices heard on all issues of relevance. So just like the Citizens’ Assembly, really, but for young people. It’s an initiative of the Department of Children and Youth Affairs. And seeing what’s going on in front of me, it looks like an effective one. It’s not pie in the sky stuff, it is real. And nor is it a way to bunk-off school because this is kicking off at 4pm. A confident 14-year-old Oscar Despard says he “obsessively follows politics” and was elected to Comhairle when he was in primary school. While being realistic, he says he was motivated by a desire to make a difference. “Obviously there is a limited scope to what you can achieve but one can try to make some sort of difference – it’s certainly possible to make some changes,” he says. 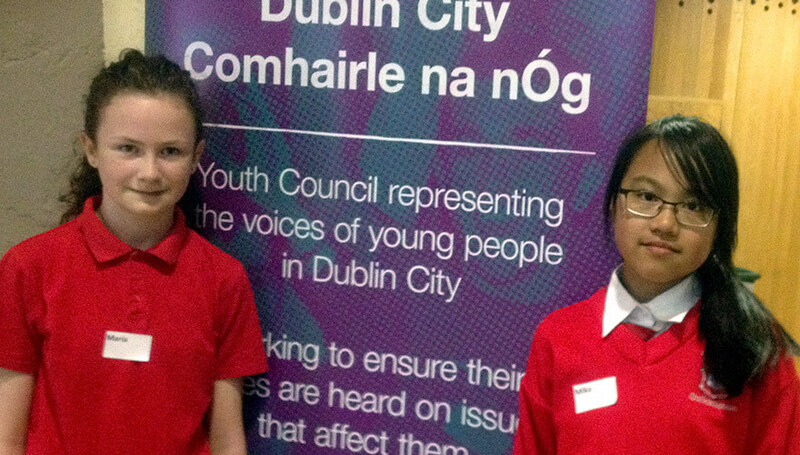 The 63 young people in the Dublin Comhairle are a perfect picture of modern multi-cultural Ireland. But that’s just ‘normality’ to 16-year-old Marina Politis. It’s always been her reality. “Multicultural? I wouldn’t have even noticed that, these are just the people that are here, people from everywhere in Dublin.” Similarly, age difference doesn’t play the same role here it plays in school, Marina says. “Everybody here offers something so you don’t see some of the others as younger kids. It’s very nice, it’s a different dynamic to school too.” Marina says she plans to do medicine when she leaves school but would like to combine it with activism. “I would like to go into maternal health, maybe to work with an NGO like Médecins Sans Frontières. But that’s all a long time in the future,” she says. There’s no questioning the fact that this is a very smart and articulate crew. But when it was suggested that fellow students might be more “Beliebers” than high-achievers, goal-keepers than goal seekers, it was quickly shot down by a cool Marina. “I think you would be surprised, most young people do want a say and are passionate about the things that concern them. Everybody here does love to kick a ball, or do whatever else they do as well, but [Comhairle] issues are really an important part of our everyday life,” she said. The young people who want to be on Comhairle put their name down at the AGM and then there’s an election. Young people like Oscar, Marina and Amy pitch speeches to the crowd, presenting their case as to why they should be elected. “They get up and say why they want to do the job and their peers vote for them. So they are like mini-councillors,” Mary says. Then they decide at the AGM on the working topic. 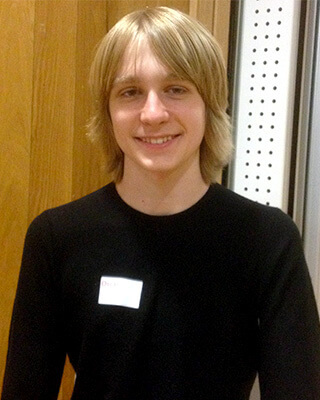 Oscar explains that the particular aspect of homelessness they are working on is young people in care. “In particular, the problems and barriers faced by vulnerable young people in care. When they hit 18, they are thrown out into the real world with no, or very little support and guidance,” he says. A couple of young men who have just been through the care system are addressing the group today. “It is really important whenever we work on anything that we are not just talking for ourselves but that we go to the people that are affected and ask them what they want,” Marina said. She is sensitive to the danger of it all just being a talking shop – albeit a very instructive one. “It is hard sometimes to make a difference and to make sure that it is not just tokenistic, that something is actually happening,” she says. “But it is happening. Even if it’s really slow. You have to be really patient and not get demotivated. 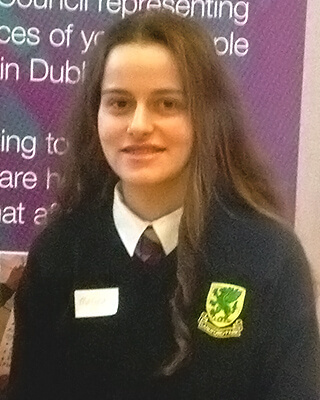 But change does happen.” Comhairle does have an impact, she says. “But we’d love it to be bigger.” Of course they’ve got time on their side. So I think we’ll probably be hearing more from these young people further down the line. Kevin Barrington is a poet, multimedia artist and a regular on the open mic scene around town. Kevin is also an award winning advertising copywriter and blogger. He gets his adrenalin from cycling around town or out to the 40ft for a swim.